Yes – you are still in the right place, noticed things are a little different here? Don’t worry, it’s just that we’ve been working hard behind the scenes on a new look rebrand for Curate And Display. Since I started this little corner of the internet three years ago, much has changed and I felt it was high time this blog reflected that. From what began as a bit of a hobby (and who knew I’d have kept it going this long?!) became another string to my work bow and I love this little community we have here and the wonderful friends I’ve picked up on the way. I like to think it’s looking that bit more mature now, more confident in where it sits in the world. Perhaps that goes for me, too? LOGO – The biggest change has been the logo and strapline. 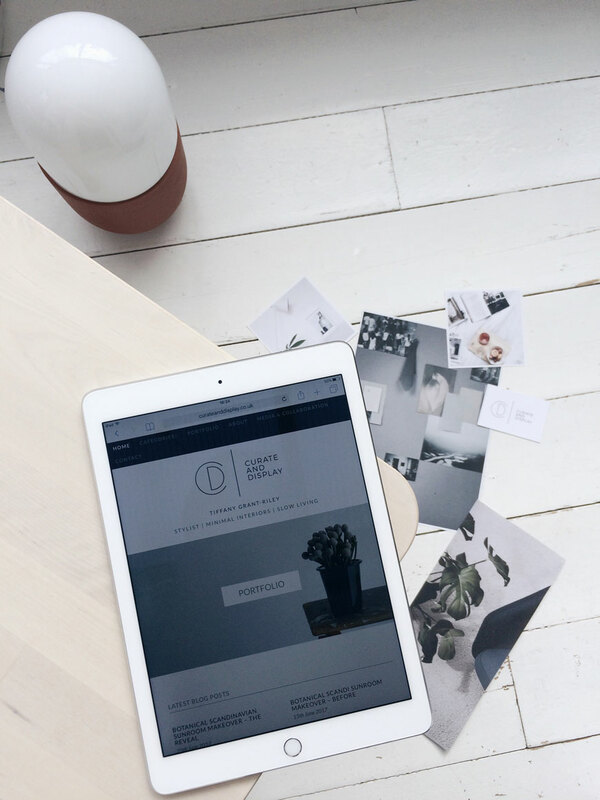 As my partner in design (also known as Annie Kruse, Stylejuicer) knows me so well when it comes to aesthetic, it was a no brainer to ask her to design the new look branding and site – I trust her implicitly. I did a lot of research into other brands I love, what I wanted to convey and used The Brand Stylist’s fantastic book as guide to help me get my message across to Annie without driving her crazy. 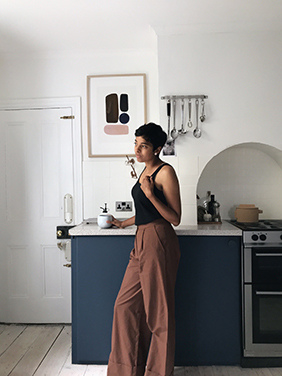 Using keywords as a starting point, Annie landed on the succinct strapline of Stylist – Minimal Interiors – Slow Living. And that’s exactly what I do. She nailed it, don’t you think? EASY NAVIGATION – From now on you’ll see there are five categories displayed on the top menu bar and sidebar navigation so posts will be much easier to find. LARGER IMAGES – This one will take me a little more time to implement as I switch old posts over, but we’ve gone for slightly larger images which give a far better impact on larger screens. If you’re viewing on a tablet or phone, the site is responsive. SOCIAL BUTTONS – These have been moved underneath my ‘About’ image to make them easier to find. You’ll also find social sharing options underneath at the end of each post too. I love the soft peachy background Tiff! Looks great! My favourite part is the portfolio. Fantastique!